Nestled in charming and scenic Rochester, Minnesota, Springs at South Broadway is located just three miles from the heart of the city. Boasting big-city amenities with small-town charm, Rochester offers daily amenities, reputable local employers, and a long list of recreational activities. Pick up fresh ingredients for a home-cooked meal from Trader Joe’s or Hy-Vee on your way home from work at the Mayo Clinic or IBM. On the weekends, go for a run with your dog through beautiful Quarry Hill Park. Then meet your friends for sushi rolls at Ichi Tokyo or a glass of wine at The Half Barrel. Springs at South Broadway also offers easy access to local schools, including Franklin Elementary School, Mayo High School, and Rochester Community College. When you want to take a weekend trip, we’re only 90 miles South of Minneapolis, MN, and 70 miles from La Crosse, WI. 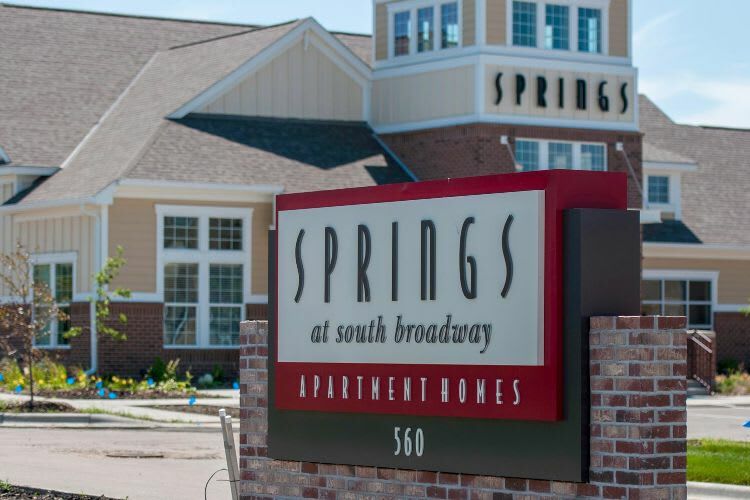 Whether you are just starting your residency at the Mayo Clinic or work at one of the many businesses nearby, Springs at South Broadway offers the perfect base for your commute into the city. As a convenience to our residents, we offer complimentary shuttle service between our apartments and the Mayo Clinic. Let us welcome you home to Rochester, Minnesota. Get in touch with our professional management team today to schedule your tour of our Rochester, MN, apartments for rent.